'ASTRO' means star, means shining light. 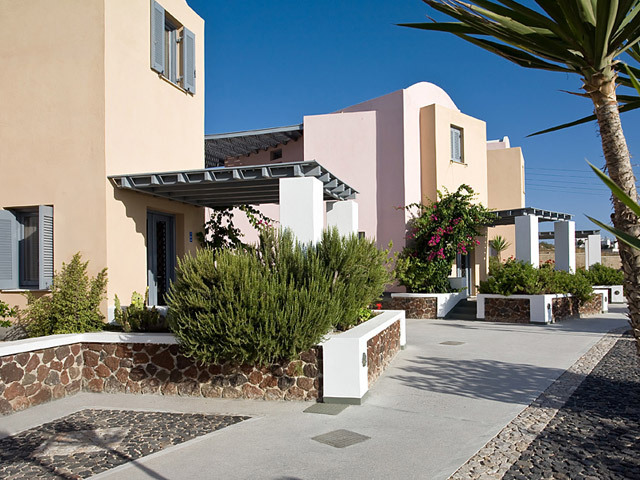 Constructed in 2010 Astro Palace Suites & Spa is a synonym for a shining star combining the radiance of elegant design with the traditional Cycladic architecture using colors of the earth blending harmoniously with the surrounding natural habitat. A room at Astro Palace impresses with the feeling of comfort and a liberating sense of space reflecting an elegance and sophisticated style. 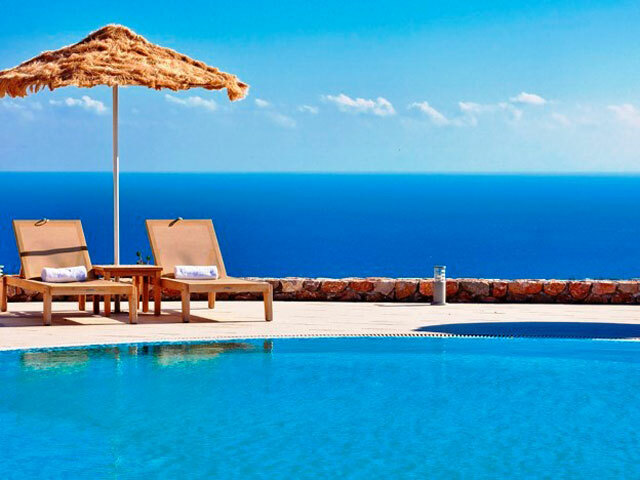 Unobstructed views seem so close from every aspect of the hotel giving you the opportunity to gaze out at the horizon marveling the Aegean Sea. 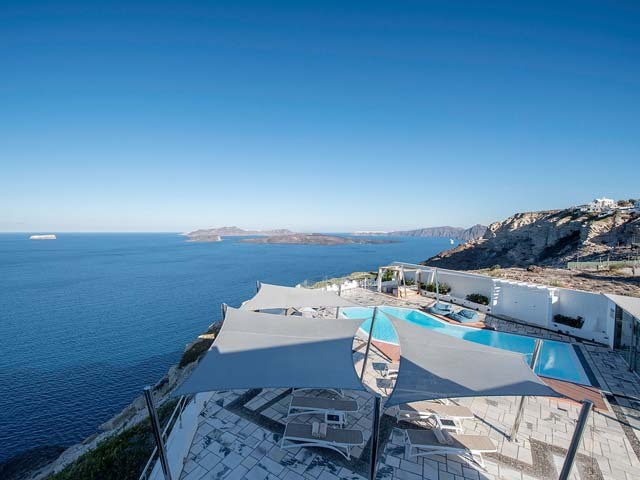 The property is situated in an idyllic location 'a private getaway' offering tranquility and a peaceful state of mind, while at the same time only a short stroll from the island's capital and hub of life Fira and the famous caldera cliff. 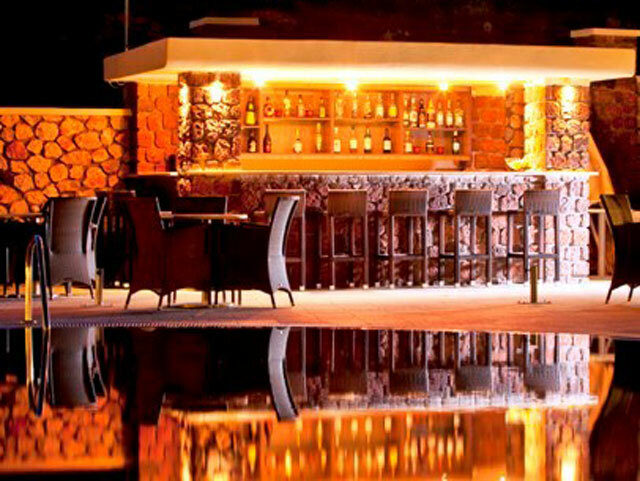 Virtually on the door step of all the amenities richly provided by the island, enjoy the shopping, savour a gastronomic experience at the numerous restaurants and revel in the cosmopolitan nightlife. 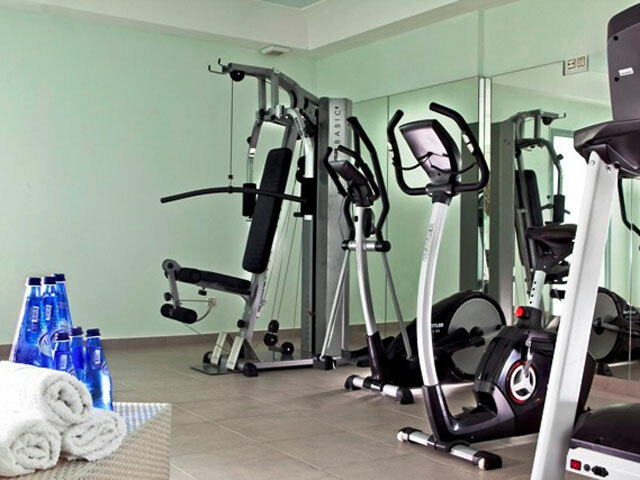 Our dedicated staff is ready to provide you with a warm welcome as well as professional and personalized hospitality promising you a truly memorable stay at Astro Palace Suites & Spa Hotel. FUSION OF COMFORT & ELEGANCE: Step into any of our spacious well-appointed double rooms and you have entered a sophisticated haven. 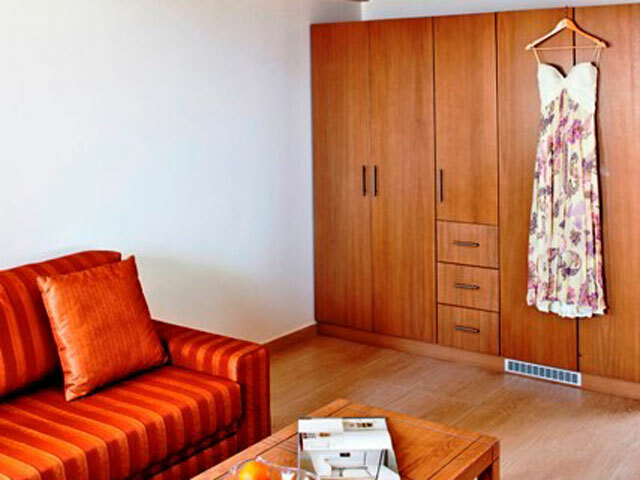 The interior is a fusion of comfortable decor amidst elegant hues of warm tones bathed in natural light. 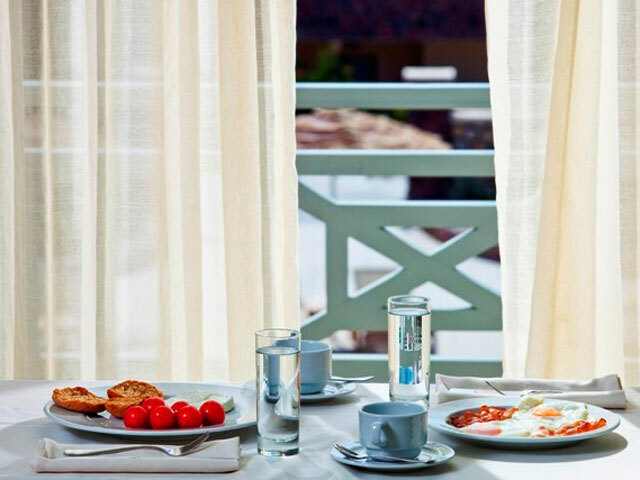 Relax on your spacious private balcony marveling the unhindered view of the Aegean Sea. 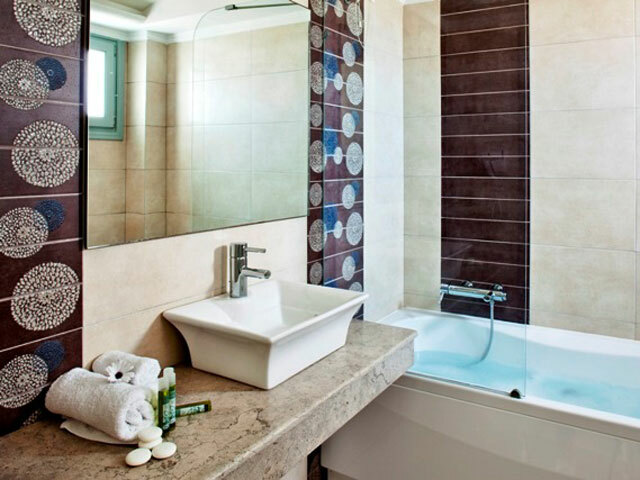 Touches of comforting luxury, enjoy soaking in the bath tub with our thoughtful array of amenities and a blissful sleep in a King sized bed/ or two twins. 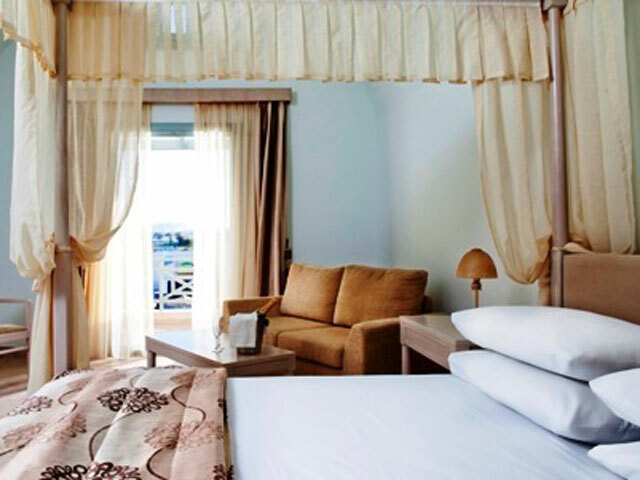 Our Double Room can accommodate up to 2 people with one King sized bed/ or two twins. 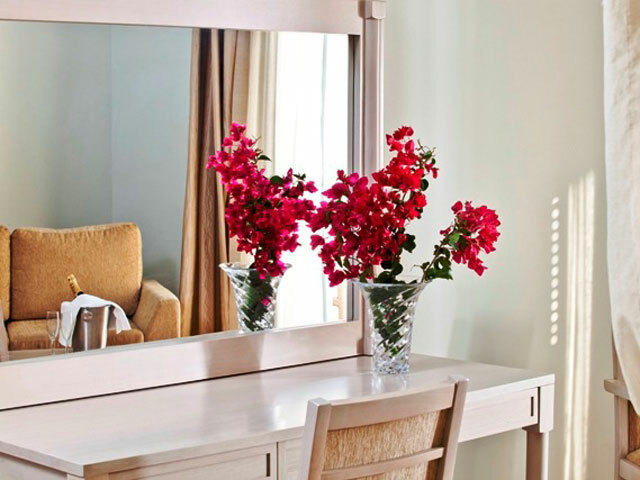 SUPERIOR IN EVERY WAY: Our Superior double guestrooms are extra spacious rooms designed with pacifying pale tones creating a relaxing ambiance. 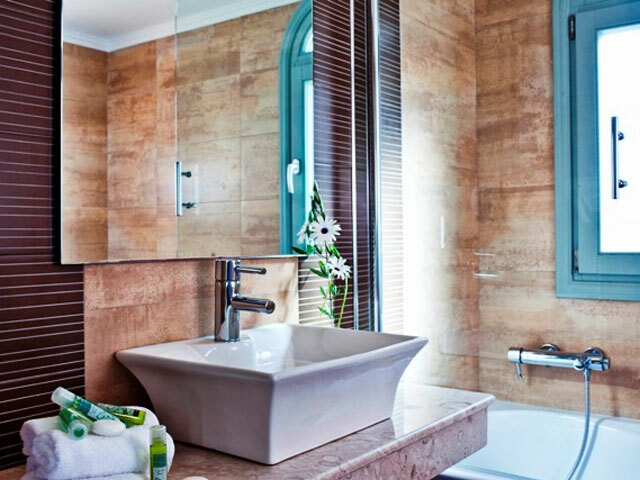 A subtle symphony of textured wood, cool tiles and quality fabrics are pleasing to the eye enhancing the holiday mood. 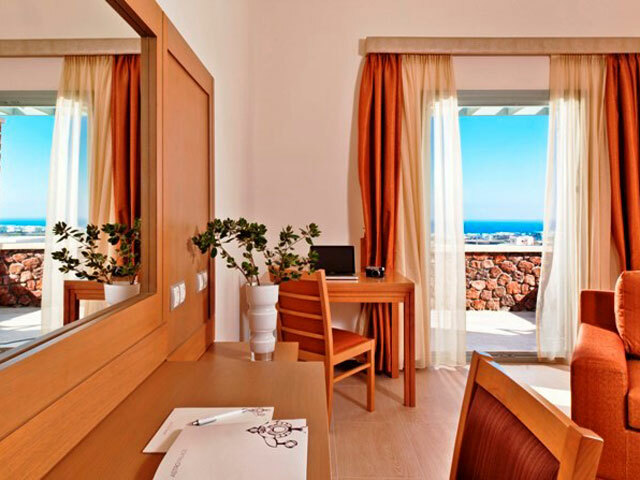 Featuring a comfortable lounge to laze on, writing desk and large private balcony staring out to unhindered views of the Aegean Sea. A King-sized bed/ or two twins, and the comforts of all the necessary amenities make this guestroom a true superior experience. Enjoy! The Superior double can accommodate up to 3 people, with one King-sized bed/or two twins and one ultra-comfortable sofa bed. 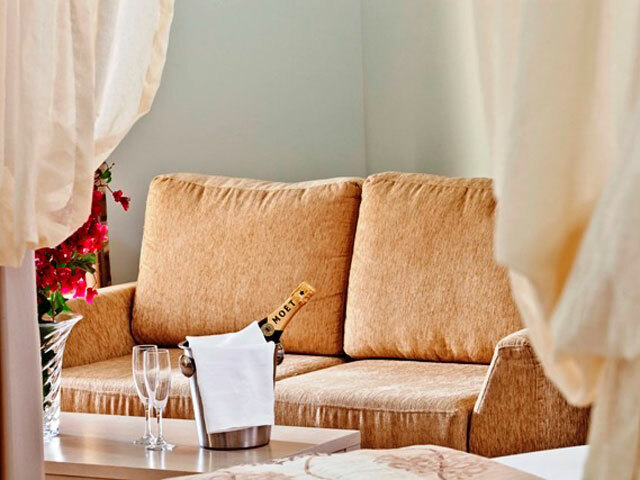 A ROMANTIC HAVEN: Romance is in the air upon entrance of our honeymoon accommodation. A signature of elegance designed in pale-hues bathed in natural light. 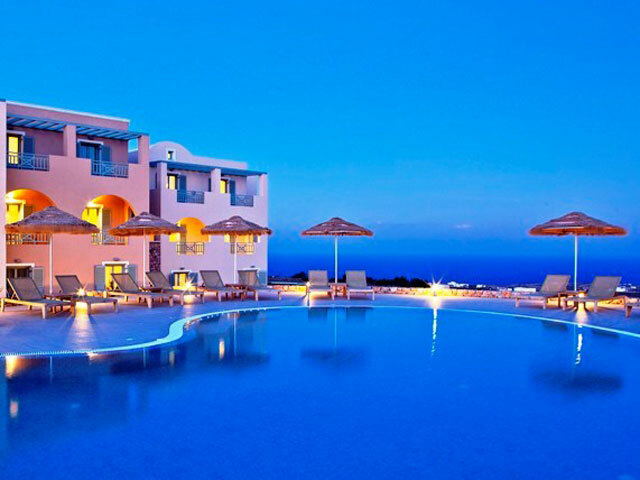 Boasting a spacious lounge area and charming balcony staring out into the unsurpassed deep blue Aegean. 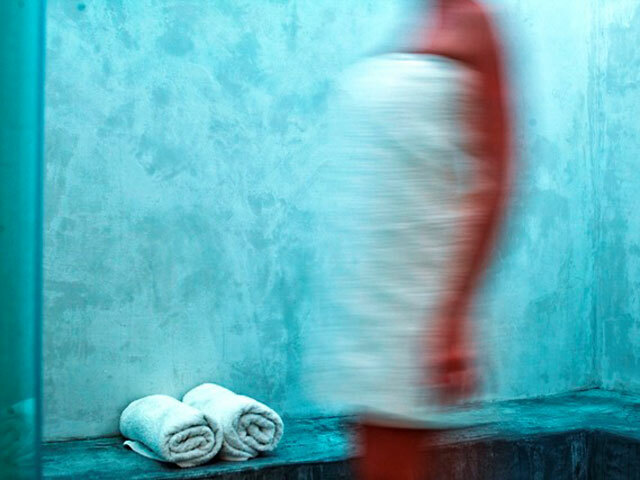 This combined with a relaxing hydro-massage bath tub will soothe the senses. Featuring a stylish four poster king sized bed and quality amenities enhancing our philosophy to make your special occasion truly indulgent. 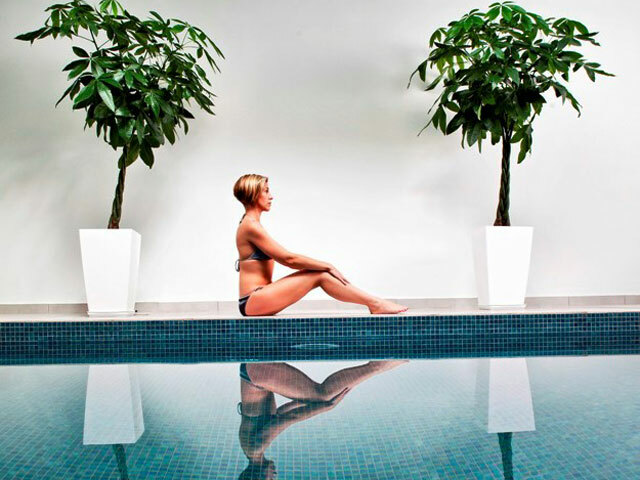 A ROOM WITH A JACUZZI: Our exclusive double rooms are specially decorated guest rooms that exhibit spacious elegance and warm interior style with a host of modern luxurious facilities including a revitalising Jacuzzi hot tub for your relaxation. 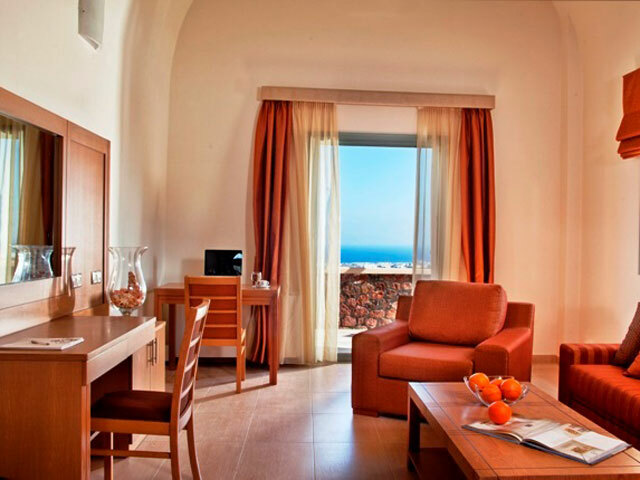 Other features are a lounge sitting corner and writing desk for reading or relaxing, a King-sized bed/ or two twin beds and also a large secluded balcony enjoying an infinity of cool blue Aegean views. 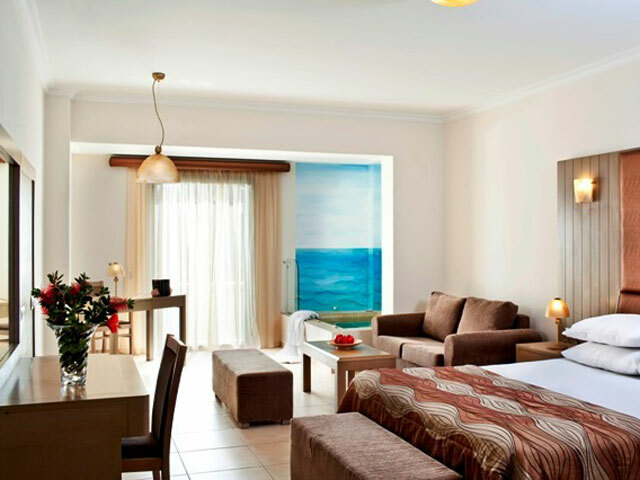 This guestroom distinguishes exclusivity and is designed for pure indulgence. 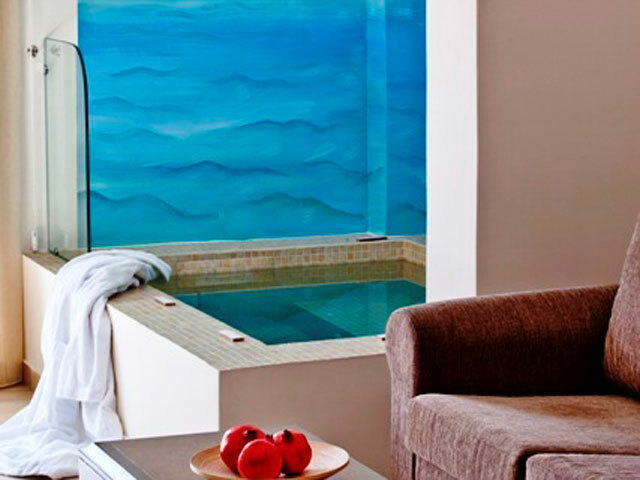 SUITES WITH PRIVATE POOLS Designed with your comfort in mind, pastel colours and soft intimate illumination. 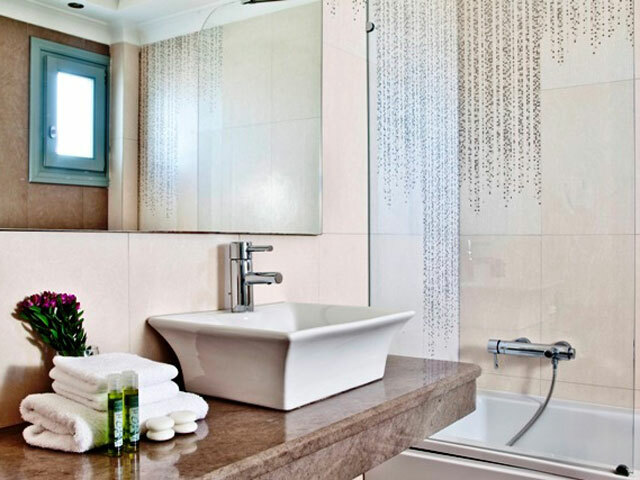 Our spacious executive suites with stylish decor and a thoughtful array of amenities will definitely relax and inspire. 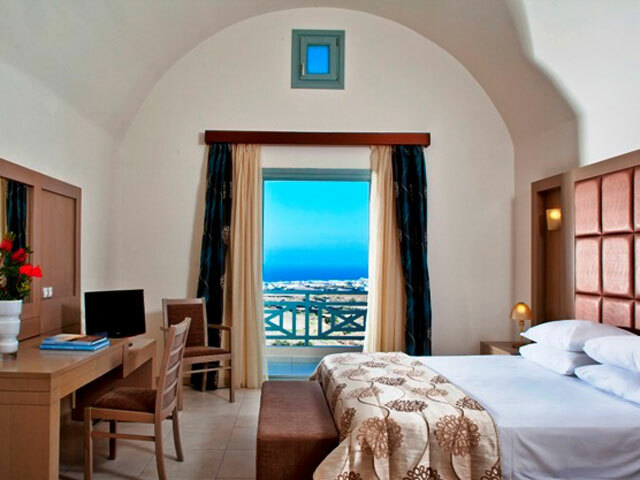 Featuring open plan lounge area, King sized bed/or two twins and gracious private balcony facing the deep blue Aegean. 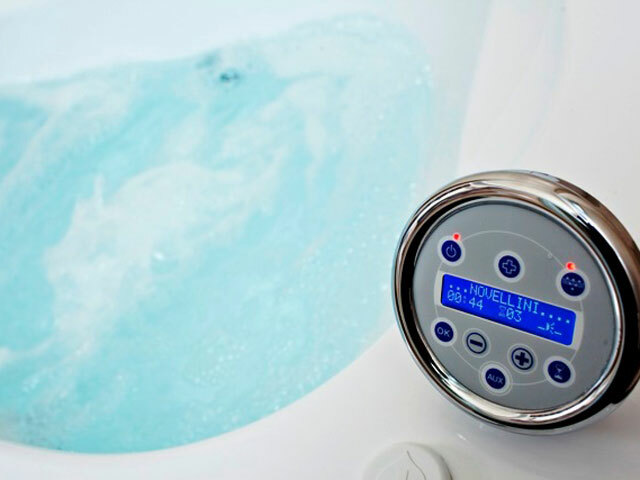 All contain bathtubs some with hydro-massage. 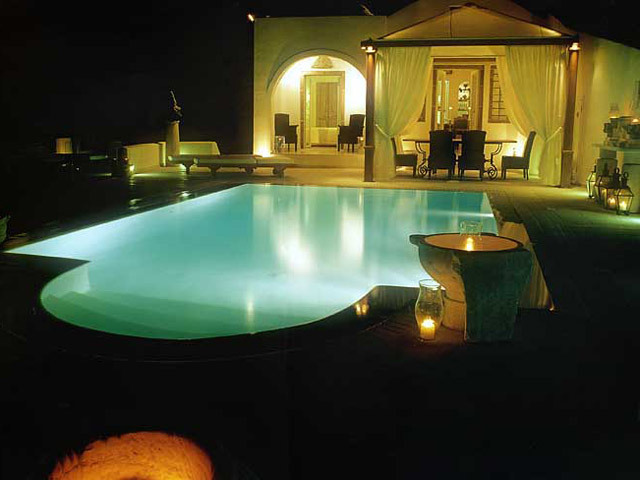 The ultimate in luxury enjoy your dream Santorini vacation cooling off in your own private pool. 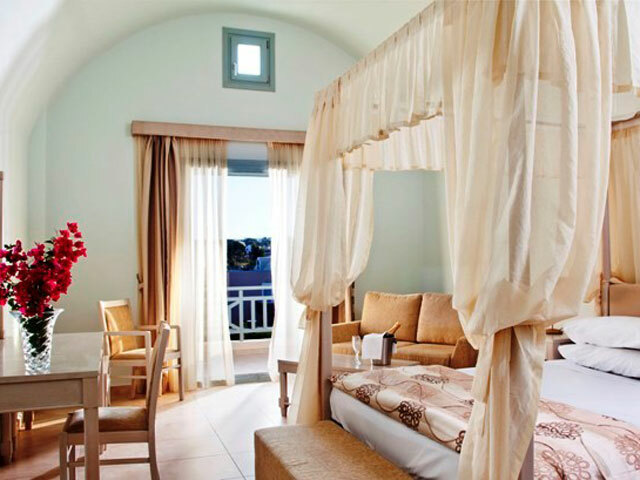 TRADITIONAL LOFT-STYLE LUXURY: This villa-like accommodation depicts typical Santorinian living using the traditional dome style architecture. A modern loft design with a downstair spacious open lounge area and upstair airy bedroom area. 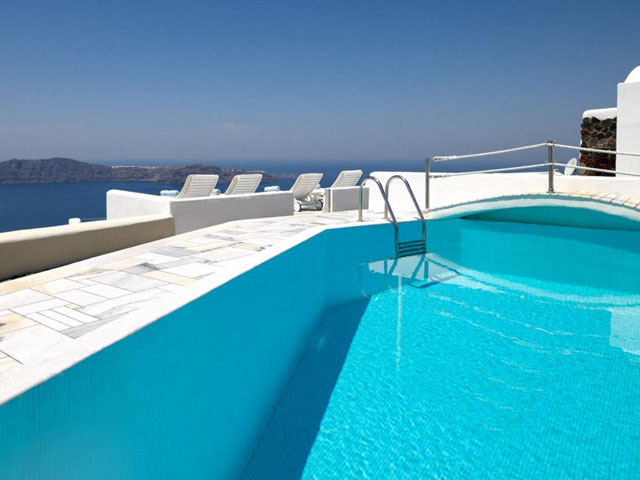 Features a spacious balcony with views of the deep blue Aegean. 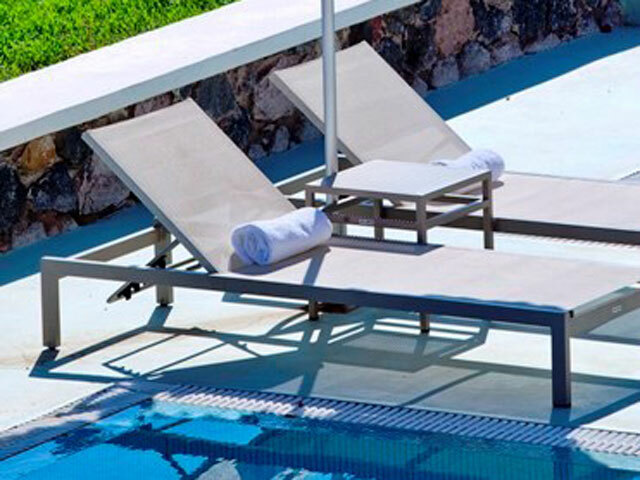 The Astro Suites include the added luxury of your own private pool. A true delight. Astro Suites may accommodate up to four people. A king sized bed awaits you in the upstairs bedroom and two ultra-comfortable sofa beds may be utilised in the downstairs lounge area. 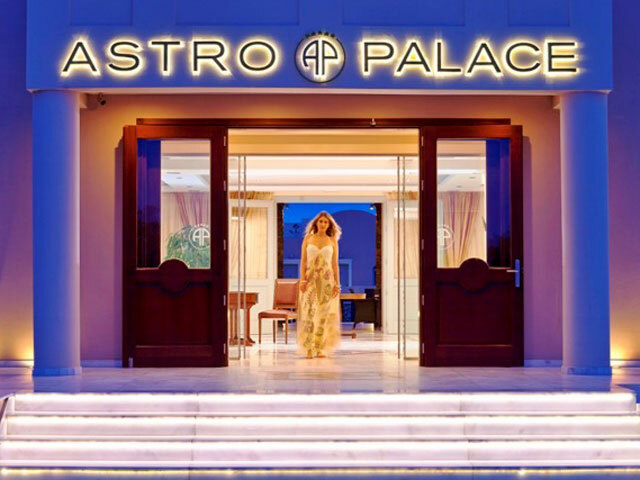 Open: April - October... Astro Palace Suites & Spa is a synonym for a shining star combining the radiance of elegant design with the traditional Cycladic architecture using colors of the earth blending harmoniously with the surrounding natural habitat.